Today is a day of mourning for comics fans all over the world. Stan Lee, the legendary Editor-in-Chief then publisher then Chairman of Marvel Comics, passed away at the age of 95. 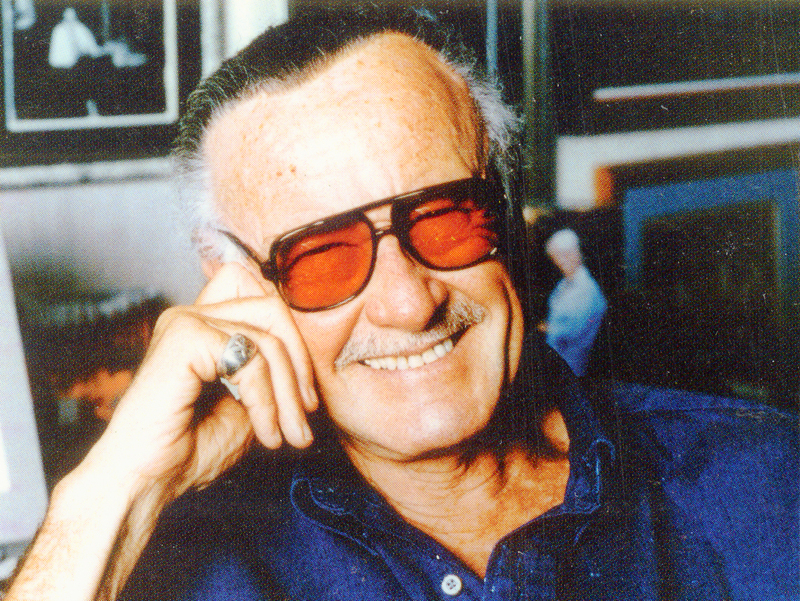 Stan Lee was often cited as an inspiration by writers and artists alike. He helped create some of the most popular comic book heroes such as Spider-Man, Hulk, Thor, Iron Man, Daredevil, Black Panther, Doctor Strange, Ant-Man, the Fantastic Four and the X-Men. He also appeared via brief, but entertaining cameos in the movies produced by Marvel Studios. Below you’ll find statements provided to the press by all the major executives at Marvel. Stan Lee was as extraordinary as the characters he created. A super hero in his own right to Marvel fans around the world, Stan had the power to inspire, to entertain, and to connect. The scale of his imagination was only exceeded by the size of his heart. Stan Lee’s contributions to Marvel, a company he helped forge into a household name, will forever live on and we will continue to celebrate the imaginative characters he helped create and the fantastic universe he helped build. My thoughts and prayers go out to his daughter and brother at this time. Stan Lee’s passion, charisma, and his love for the characters and stories he created shaped Marvel into what it is today. His relentless drive and dedication to tell imaginative stories changed the lives of countless fans for over 75 years, and his spirit lives on in the people he’s inspired. His legacy will never be forgotten. My thoughts go out to his family at this difficult time. To so many of us he was a father figure, a mentor, a best friend. Stan let us into the pages of his comics and into his world. He told us all about himself, warts and all. He made us laugh when things were bleakest, he let us in and made us feel like we were a part his family so that when he creatively took a chance and leaped off the precipice of that building, we were always right there with him. He wasn’t just a guy in a suit, he was Stan ‘The Man’ Lee! Goodbye my friend and of course…EXCELSIOR! No one has had more of an impact on my career and everything we do at Marvel Studios than Stan Lee. Stan leaves an extraordinary legacy that will outlive us all. Our thoughts are with his daughter, his family, and the millions of fans who have been forever touched by Stan’s genius, charisma and heart. Excelsior! There are so many of us who would not be the men and women we’ve become, and be where we are today, without the influence Stan Lee had on our lives; not only through the heroes he created and the lessons we learned from them, but from the example ‘The Man’ himself set in life. The more I got to know Stan, the more I saw how he put a little piece of himself in each and every character he created, and by doing so, he allowed readers to see their own reflection and imagine the possibility that they, too, could transcend their problems and become something amazing, uncanny, and fantastic.